Last year, when Huawei launched its P20 Pro smartphone, it immediately became the first company to introduce the trend of triple camera mobile phones. Since then, quite a lot of triple camera mobile phones have emerged in the market. 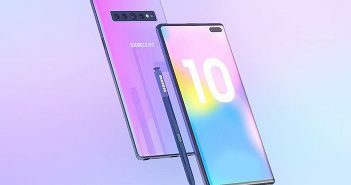 This year, the company will debut its Huawei P30 and Huawei P30 Pro smartphones. Huawei will announce both the P30 and P30 Pro smartphones in Paris on March 26, 2019. However, alleged images of the P30 smartphone have now emerged online. The images show off the design and certain features of the smartphone. From the images leaked by WinFuture, you can see the smartphone featuring a quad camera setup on the rear panel. 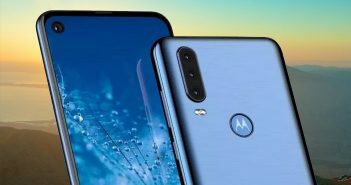 Similarly, on the front panel, the smartphone is seen with a waterdrop notch and thin bezels. Additionally, from the image you can also identify that the smartphone will flaunt a curved display. 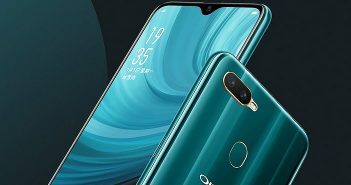 The images confirm that the upcoming P30 Pro will be available in electric blue, sea green and black colour variants. All the variants will sport a gradient finish. 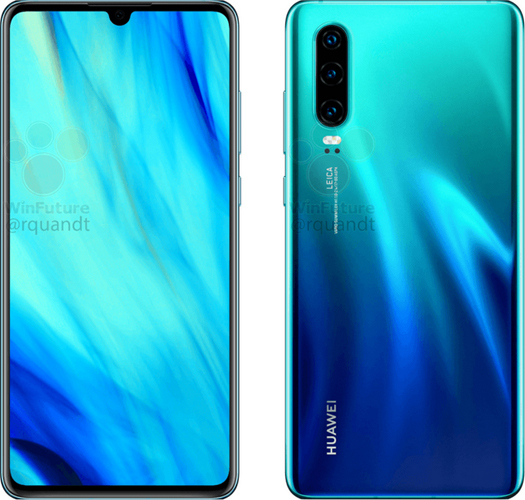 On the other hand, images of the Huawei P30 reveal that the smartphone will sport a triple camera setup on the rear. 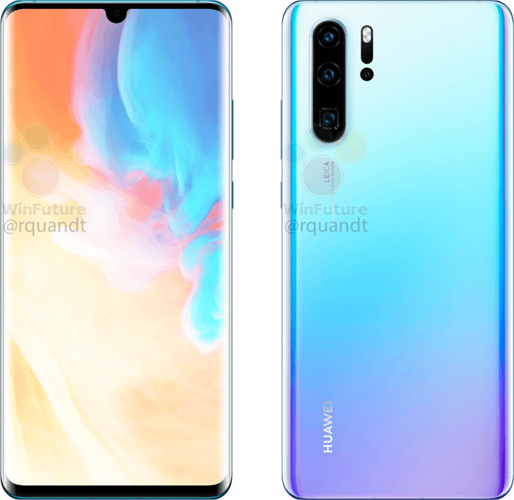 A lot of reports state that Huawei P30 Pro could be a 5G enabled smartphone. After launching the Mate X foldable phone, Huawei became one of the first few companies to introduce 5G mobile phones. This means, we can expect another 5G smartphone from the company. Moreover, as there is no visible fingerprint sensor on the front or back, we can assume that this smartphone will come with an in display fingerprint sensor. 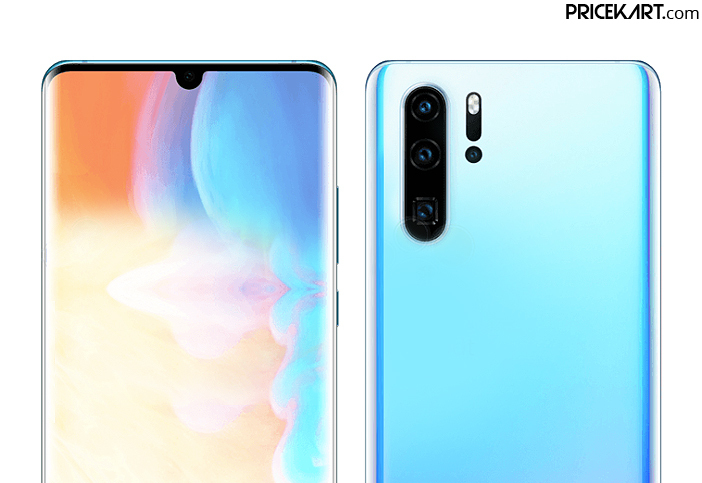 Additionally, both Huawei P30 and P30 Pro smartphones will sport a 10x lossless zoom camera. So, we can expect Huawei to dedicate one of the four cameras to offer 10x optical zoom for exceptional zooming capabilities. As of now, none of the specifications of both the smartphones have been revealed as of yet. With the smartphones expected to arrive on March 26, we can expect even the specification details to surface before the actual launch.